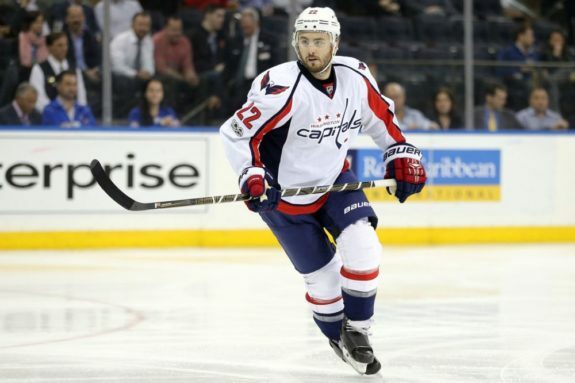 Rumor Rundown: Rangers Clear Space for Shattenkirk? Oshie to Blackhawks? The New York Rangers have been making moves to free up money. After buying out veteran defenseman Dan Girardi, a trade on Friday saw the New York Rangers send forward Derek Stepan and goaltender Anti Raanta to the Arizona Coyotes. Those three moves allowed the Rangers to clear a ton of cap space for the coming season. That cap space may now be used to try and obtain free agent defenseman Kevin Shattenkirk. Stepan had four years remaining on his deal at a $6.5 million cap hit and Arizona accepted all of it. Shattenkirk at the very least will likely cost the Rangers $6 million per season over multiple years. He’ll be one of the most coveted free agents come July 1. The New York Rangers need an offensive-defenseman and puck-mover and over the past five seasons, only Erik Karlsson has recorded more power play points than Shattenkirk’s 113. Shattenkirk split his time in 2016-17 with the St. Louis Blues and Washington Capitals and he’s been the Rangers primary target for some time. He finished the regular season tied for eighth in the NHL with 27 power play points. News that Shattenkirk might be eyeing the Rangers is not new. There have been rumors around for quite some time that the offensive-defenseman has wanted to go there. His desire to play in New York is one of the main reasons other trades for Shattenkirk last season didn’t materialize when teams like the Tampa Bay Lightning or the Edmonton Oilers couldn’t confirm he’d re-sign. The Chicago Blackhawks made the deal of the day on Friday by moving super-skilled forward Artemi Panarin to the Columbus Blue Jackets for former Hawk Brandon Saad. The Blackhawks downgraded in terms of skill by losing a player who regularly provided the team with 70-plus points, but many believe that the team was looking for long-term cap relief and a more rugged player that could help the Blackhawks withstand the push from bigger and tougher teams. Could moving Panarin mean that the Blackhawks have Saad and now room to sign a player like T.J. Oshie? The Blackhawks also lost Marian Hossa after it was announced that he would be sitting out the 2017-18 season with a skin disorder from allergies related to his equipment. With the news, the team freed up more cap space but also lost a 20-plus goal scorer. Chicago needed to replace that production and T.J. Oshie might nicely fit the bill. By moving Panarin and eliminating Hossa’s contract, the Blackhawks now have room to add solid contracts with players who have a proven record of production. Oshie is that type of player. He’ll be looking for a significant deal, but he may be willing to take a discount to play for a contender. 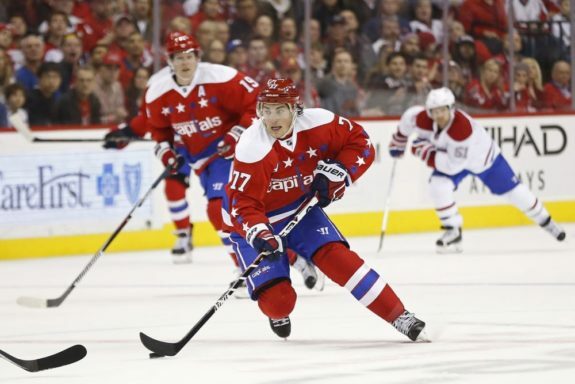 ** Update: Oshie re-signed in Washington for 8 years and $46 million.